...Lost the War Against Mankind. “Until they fought us back. We, the hunters, became hunted and we were defeated by our own sins and pride. The carnage reduced us to pieces. The Spiritual Capital of Sabbat where the Consistori were held, to decide if a Path Of Enlightenment or behaviour was heretic or canonical, is no more. Even the Archbishop met his final death and soon many others arrived to S.P. to claim the title." Will you support any of the Bishops? 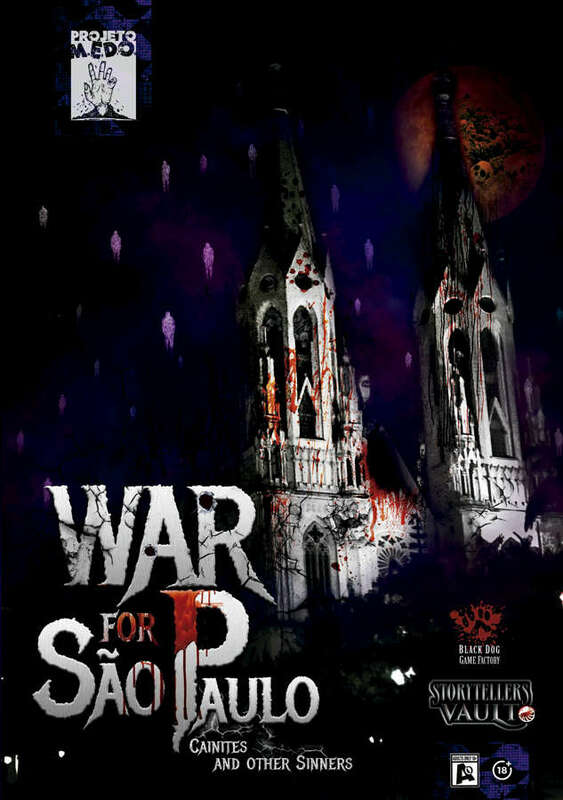 Will your pack help the Sabbat win the war? Will you uncover the mysteries of long lost Paths and rituals? Or will this city be the place where you fight your last battle? • Details on how to run a Consistory where the most prominent Sabbat Cainites debate the canonical authenticity of new Path of Enlightenments, the Book of Nod fragments, ritae and others. • The terrifying Night Gods, antagonist native vampires, are completely described along with new Blood Magic and Necromancy paths as well as many rituals. • Tropa de Elite, a militarized hunter organization, is presented along with their high tech gadgets. • New mysteries, Path of Enlightenments and much, much more! Quando a versão em português estará disponível?